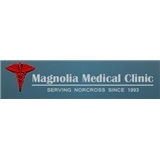 Magnolia Medical Clinic (Norcross) - Book Appointment Online! Dr. Shah and his team of Board Certified Physicians have been serving the community since 1993. Magnolia Medical Clinic is open 7 days a week and extended hours to better serve you. Walk-ins are always welcome but appointments will shorten your wait time. Next time you or your family is sick or if you just need to get your routine physical (recommended annually) come by and see us. Our friendly and knowledgeable staff will be able to give you the best patient care. We currently also provide translators serving in Spanish and Hindi for your convenience. Short wait for room full of people. Doctor Shah is professional and down to earth and his staff consist of beautiful hard working woman. They made my day.